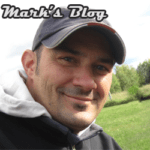 Mark’s Blog – Vermont Tire & Service Inc. I grew up in the tire business. My parents built our company over the last 30 years. I’ve accumulated a lot of knowledge about tires and more importantly, what tires are best for certain applications. Too much time is spent focusing on price, mileage, fuel economy or other stats that don’t necessarily give the full impression of what is right for you. 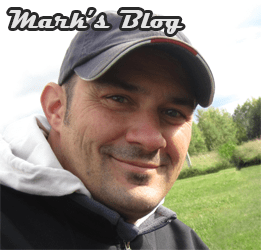 This is a new part of the Vermont Tire website where I talk about the industry and give explanations to common questions. Nothing in this page is a sales pitch; just candid information. We are and independent tire dealer, which gives us the luxury to sell the right tire from a wide selection of manufacturers. I hope you find this page informative. This last week, I had the opportunity to test both Cooper Tires and Nokian Tires Next generation winter products. It was an amazing opportunity but one thing that was confirmed to me is there are rapidly becoming two schools in tires for winter weather, and how dangerous it can be when manufacturers make assumptions about these two schools. Cooper described these two schools well. “Nordic” is a tire designed for severe winters with snow and ice that lingers on the roads because temperatures can stay well below freezing for weeks on end because of the temperature, ice is a consistent threat even if there is no snow. The tires tend to be stud-able of factory studded. “Alpine” tires are for environments where the temperature hovers around freezing and dry and wet performance are as important as snow and ice performance. These tires tend to be stud-less. I divide these camps further by saying Nordic tires are for people who need winter tires and Alpine are for people who purchase them as a luxury item. I think of the Alpine buyer as someone who lives in the city and goes to the mountains to Ski on the weekend vs. the Nordic customer is someone who lives in the north or in the mountains and has to navigate the roads daily, regardless of weather. Because of our environment, only 3.8% of Vermont Tire’s winter tire sales are what would be considered Alpine. Consumer Reports, really just rates Alpine tires and there scale is leans towards drivability on dry and wet roads over pure winter performance. Since September when I saw the first draft of sizing I have been in a constant argument with Cooper Tire’s product department because until this meeting, they believed that since Alpine tires were purchase as luxury items, they would be the only tire they would need in the larger diameters for the newer more luxury cars. I would give them my numbers and they would send statistics back like 44% of all winter tires sold in the US were stud-less. Up till this meeting Cooper was leaving be without a stud-able winter tire in my favorite brand for anything 18 inches and up which this last winter amounted to 1/5 of our winter sales. At the meeting, I felt vindicated because all the dealers that had remained quiet up to this point made their opinions known in force. They all expressed how regional one tire vs the other is. The Quebec, Northern New England, Upstate New York, Western Colorado, Alaska dealers all demanded Nordic tire in all sizes. Southern New England, Ontario, New Jersey, Denver, and the Pacific Northwest dealers were all happy with the Alpine tires. Within three days Cooper gave the green light to add all missing sizes to the new Nordic tires. I have never seen a tire company change direction so fast and green light a few dozen new tire sizes. Even though Nokian shrugs off the “snow” tire name for the more inclusive “winter” tire. They have always known this and for many years have always made all sized in both a studded and stud-less tire. Nokian made the choice to offer only studded from the factory or stud-less on their premium tires. Even though this means That we need to stock both styles, this allows them to do things like multiple stud types in a single tire, pillow bases and directional studs, that bring them into the 21st century and maximize potential traction while reducing noise. BTW The tires tested great! Cooper’s new stud-able drastically improved on the previous generation and the new studless performed on par with the Michelin X-Ice, Nokian’s New Hakkapeliitta R3 improved dramatically on ice traction and dry road manners. With every new winter tire launch it is a fight to be heard and get things right but things are looking bright for the next generation of winter tires. The other week, a friend needed help to move out of the house he just sold and many of his freinds all helped out. The driveway was full of cars and being the tire geek that I am, I quickly realized that my car was the only one without winter tires. I am not sure if its because of the mild winter we had but even with the temperature hitting over 90, 32 for you Canadians, people just aren’t thinking about changing over their tires. Even though its not as dangerous as a using summer tires during winter, its is more dangerous and you are thowing away your investment. The first reason is compounding, and 45 degrees is really considered the water mark. Winter tires are designed stay maluable and preform below 45 degrees. Above that temperature they become overy soft which leads to premature wear and poor performance. Its becomes like driving around on warm gummy bears. The same can be said in the opposite about summer and all season tires, below 45 degrees the compound becomes hard and by 15 degrees they are like hockey pucks and useless. The second problem is the tread design itself. Modern winter tires use interlocking sipes to add extra biting edges, and hold on to the snow to maximise traction on snow and ice. The down side to these sipes is they rub together and create heat. The misconception that worn out winter tires still work in winter highlights one of the biggest misunderstandings in tires. Legal doesn’t mean safe. To put it out there, 2/32 tread depth is the lowest legal tread depth meaning your car will pass inspection. 4/32 is considered the minimum tread depth for driving in wet weather, 6/32 is considered the minimum for driving in snow. These numbers are still deceiving, for years I spouted that 4/32 for driving in wet weather without the consideration of how well a 4/32 tire performs in the wet compared to when it was new. It wasn’t until I was invited to Continental Tire’s Uvalde test facility that I gained an true understanding of how a tires performance degrades. At Uvalde, they had two identical cars setup on a wet breaking track. One car had tires with full tread depth, the second had tires shaved to 4/32nds. I was amazed to see the car with tires at 4/32nds took 2.5 times as long to stop! Frightening to think of all you can pass in that distance. This highlighted to me how even the recommended minimums aren’t really safe. I think one of the reasons there is such a miss understanding has to do with manufacturer warrantees. 60K 70K 80K is how long they warranty a tire to remain legal, and most manufactures won’t warranty their tires until they are warn out completely. But the truth especially in harsh climates like Vermont and Quebec is that the safe thing to do is to switch your tires out well before that milestone. This fact is compounded with winter tires, 6/32nds is a depth you only want to see at the end of winter. Putting tires on with that depth in our winter environment is setting yourself up for disaster. The hard truth about this fact is that most winter tires are new with 11/32nd so when they are half worn, their usefulness and an true winter tire for all conditions is mostly gone. Why do tires do this? Is it a conspiracy?!? No, Its physics. Tire treads equal weight which needs to be kept to a minimum for all sorts of reasons, but that tread depth is what creates the voids that gives the water and snow some place to go. There are some advancements like the new Michelin Premiere which actually uses a reverse chamfered tread blocks so the voids expand in width as the tire wears, but this also reduces tread on the road, so they helps but doesn’t solve the problem. Tough words to take from a tire guy I know, the main point I would like you to take away is to have realistic expectations of your tires performance as it wears, don’t expect because it meets then minimums, that it will perform anything like when it’s new. “Since this is my first article as President, I wanted to take this opportunity to do something my wife says I am horrible at which is introducing who I am. My Father started Bob’s Sunoco in 1973 then Vermont Tire & Service in 1982 which grew into a multiple retail locations and a steadily growing wholesale business. Today, wholesale is its own entity and is the majority of our business. One of Vermont Tire’s main focuses has always been winter tires and we are known to be an authority on them and often help in the final testing of winter tires before they are available for sale. As many second generation tire people, I grew up in the business. When I was 12 I would help unload trailers organize warehouses and stud tires. As soon as I was I got my license, Dad threw me in a cab over box truck to do transfer runs then eventually, wholesale runs. Many people know me from the classes I have given or the articles I have written on Digital marketing but few people know why I know anything about it. I went to school for Computer Engineering then for Computer Art and got BFA in 3d Computer Art and Animation. While in school I started and ran a web and graphic design company with a friend that we maintained after graduation until we found jobs in our chosen field. My first job after college was with a startup Web GIS company then I worked in NYC making high end commercials then ended up back in Boston as lead artist for a game company where I stayed until I met my wife. We moved back to Vermont a decade ago so I could work in and eventually run Vermont Tire. I have a number of posts that I promise will finish soon with good customer information. I clearly got a little lazy over the winter. I sit on the board of the New England Tire & Service Association, NETSA for short. I am really proud of the work that we do to move the quality and credibility of our entire industry. I recently spoke at our annual conference on digital marketing and I was lucky enough to get a number of quotes from the leaving industry magazine. Here is a link to if is you care to check it out. It is a very popular question, and sometimes who I recommend studded tires to is not as obvious as you would think. So let me start with questions I am frequently asked about the down side of studded tires, both the actual and perceived. Current retail pricing is an extra $16-$20 per tire. You can decide if that is too expensive. For certain situations, I often recommend buying a less expensive winter tire and using the money to have them studded. In Vermont, there are no such laws, but most states and provinces do have these laws. In the northern states, the dates are a good guideline of when you should put on and take off your winter tires anyway. Yes they are louder. Even the new advanced, quieter studs used by some manufacturers are louder than studless tires. Winter tires are louder than all-season tires and more aggressive winter tires are louder than less aggressive. Technically, they do hurt the road a little bit. This will do nothing to reduce the life of the road because the vast damage caused by frost will destroy it long before any effects of studs will be evident. This is like complaining about being bitten by a mosquito while you are being chased by a polar bear. This is also true. Some tests show they can extend wet pavement braking by as much at 15%. My opinion is that it is worth giving up some wet and dry braking to improve snow and ice performance. This is because I never find the limits of my tires in wet conditions where I always find the limits of my tires in snow and ice. So then, why would anyone want these loud, expensive, regulated things? One word – safety. I have run all manner of studded and studless tires on my personal vehicles and I have found the benefits of studs go well beyond what any test can show. More important than any improvement to ice and snow braking or improved lateral stability is how studded tires react to the loss of traction vs studless tires. Because of the mechanical connection to the road, studded tires lose traction in a more gradual and predictable way then their studless counterparts. They also never totally lose traction no matter what surface you are on or how cold it is. This all adds to a safer more predictable driving experience. Who do I think should use them? There are the traditional people I and everyone else will recommend studded tires to. If you live on that side of a mountain as I do, or you need to drive no matter what to get to your job, or you live on rural roads that don’t get plowed or salted as frequently, you should definitely consider studded tires. But here is someone less obvious that I think should use studs. Are you a road warrior, especially one that drives many of his/her miles on the highway? If you are, you should run studs. The reason I recommend studded tires to this type of driver is because when you are putting on that many miles, like it or not, you probably aren’t always paying as much attention to the road as you should be. In winter, even on sunny days, there is often water that runs across the road in spots that may cause black ice. With studs in your tires, this is less of a concern. They can save you when you don’t even realize there is a problem. I know this from first-hand experience, I drive a lot and so does my wife. We both run studded tires. So who would I NOT recommend studded tires to? People who have the option to not drive on really bad days. People who live and drive in mostly plowed and salted areas. Also people who are spirited drivers regardless of season; studded tires probably aren’t the best choice. Two Final notes if you do decided to get studded tires. Not all studded tires are made equal. If the tire is designed right, the studs will be arranged so that they hit in 4 for more different spots. This ensures that every stud has a fresh spot on the ground for maximum tractions. Also the amount of studs on a given tire can be different. For example, A Cooper Weather-Master WSC has 5 points of contact and twice as many studs as the average tire. An example of the other side of this is the Firestone Winterforce which has only two points of contact (which is the worst) and a low stud count. The studs also have a break in period where the stud “sets”. During this period drive more gingerly and try to avoid spinning on start of sliding to a stop. When the nubs have worn off on the tread of the tire is a good indicator that the studs are set. Let me first come clean. I have always had issues with the way Consumer Reports tests winter tires and the priorities they put on ranking them. I have often thought that that their testing is not real world. The attributes they value in a winter tire are for people who buy winter tires as a luxury as opposed to a necessity in areas such as Northern New England and Eastern Canada. This probably has a lot to do with them being based in Connecticut. For instance, I have never had a customer that was willing to trade safety for a slight increase in fuel economy with low rolling resistance. Outside of my own opinions, this idea seems to be validated by comparing Consumer Reports results to Canadian and European winter tire tests. Without divulging their latest results, I will give an overview of what I understand about how Consumer Reports conducts their tests. All the snow testing was done at night and ice testing was done on an ice rink. These are not real world tests by any means, and they left out one of the most important factors that wet braking and hydroplaning results don’t account for, slush. Anyone who lives in daily winter conditions knows that dry snow and consistent ice is predictable, but slush is what will take you for a ride when you least expect it. Another thing they miss completely is testing for lateral traction on snow and ice. In layman’s terms, this is your ability to go around corners and drive through crosswinds without sliding sideways off the road. Most tire manufacturers that really care about winter tires have gone away from designing winter tires solely for forward traction and stopping. This is what the directional tread designs, strong center rib, and new sideways sipes are for. These elements take some away from forward traction and braking, but provide more complete traction in all directions. The report also weights rolling resistance, ride comfort, and noise (this is one of the reasons they don’t include studded tires). I don’t; I rate winter tires solely on their features and performance that prevent you from dying or killing someone else. Studded tires are definitely a part of this for people with more demanding needs. I have such a problem with Consumer Report’s methods of testing and overall winter tire rankings because of how most people interpret this information. They only look at the tires on top of the main list and choose the tire they can afford. They do this without asking is that tire right for their needs. But even if I don’t agree with their methods or priorities, I respect any attempt to provide comprehensive information about winter tires. My advice when using any source is to first read the details for each tire instead of the overall scores to find the tire that is right for your needs. The overall score in this report, in my opinion, rated the tires on how well they act like all season tires. Second, use other sources. A good start is to Google “Canadian winter tire review”. Choosing the right winter tire is more important than choosing the right all season tire, so it’s good to get multiple opinions. And last, ask you independent tire retailer. Shops that sell only one or few brands will be motivated to sell you what they carry. A good independent tire shop will sell you the right tire for you. Many manufacturers advertise tires as being “all-season” because they have an M&S rating. The M&S rating is just a tread to void ratio that has nothing to do with how the tire actually performs in winter conditions. Most all-season tires, despite the advertising, are just summer tires. By “true” all-season tires, I am referring to tires that carry both a severe winter weather rating (the snowflake and mountain ratings) and a mileage warranty. I realize that the start of summer might seem like and odd time to talk about something with a winter rating , but really I couldn’t think of a more appropriate time; after these tires are meant for “all seasons”. This class of tire has many advantages. It gives the owner the luxury of rolling from one season to the next without having to fight the crowds during changeover season, it prevents you from getting caught in a storm with the wrong tires, and doesn’t require having to find a place to store the set you aren’t using. “That sounds great” you say, “but what’s the catch”? Well, there are a few things to consider. First, “true” all-season tires generally cost more then a mid-grade tire (either a winter or an summer). Second, the mileage warranty is generally less than a premium all-season counterpart. Finally, the snow performance can’t compare with a premium full blown snow tire. So why would anyone choose this tire? These tires are NOT meant for a person that lives on the side of a mountain; someone who has a two wheel drive car and has trouble finding a tire that provides them with enough traction even with studs. These tires are also NOT designed for the road warrior, someone that drives more that 50K miles a year. So who does that leave? Basically everyone. “True” all-season tires are designed for the performance enthusiast, someone who wants the maximum dry performance and regularly takes their tires to the limit of their traction in dry conditions.The snowflake rated all-season tire is known for having a great ride. They also offer some of the best wet performance of any class of tire. Their cost over time is actually cheaper then buying specialized winter tires and all season tires. Plus its hard to argue with the convenience of never having to swap tires out, especially if you have to comply with the Quebec winter tire law. Currently, there are just a hand full of offerings in this class. The two most notable are the Nokian WR G2 (which is just about to enter its third generation) and the Vredestein Quatrac 3. Both these tires offer a similar design, performance and warranty. Remember, many manufacturers advertise tires as all-season with snow capabilities by saying they are “M+S rated”. However, unless it passed the severe winter weather test and earned the mountain and snowflake ratings , it is just another all-season tire and you have no proof of how the tire actually performs when you need it. This small club is about to get bigger. Toyo is currently developing a tire in this category that may be available as soon as this fall. Cooper is also considering a tire in this class. I can understand why manufacturers are jumping on the bandwagon. In an environment like ours, it just makes sense. So next time you are looking for tires, take a second to think about how you actually drive given the information above. Then you might want to take a look in your garage at the tires from your previous cars gathering dust. I think you will also agree that the “true” all-season is a good choice. Monday June 4th Road Hazards! This week I spent some time calming down an elderly man who had bought a mid-grade tire and ran over a nail. The nail went through the sidewall of the tire after only 40 miles. He expected a free tire because he felt the incident wasn’t his fault. Unfortunately explaining to him that running over a nail was neither our fault nor the tire’s fault didn’t exactly help either. I offered him a tire at our cost, but he was still disappointed when he saw how little it actually reduced the cost of the tire. It is an unfortunate fact of life that accidents sometimes happen. Sometimes no one is at fault but you are left having to re-buy something you just purchased. Fortunately, there is an answer…. Tires that have a road hazard warranty! It is hard to realize the value of a road hazard warranty until you need it. Certain manufacturers have road hazard warranties on their tires and you might not even know about it! Continental Tire has a road hazard warranty on all their tires for the first 2/32 of tread or one year from the date of purchase (which ever comes first). This program is the best of all worlds because it comes from the manufacturer and it is independent of the dealer you purchased the tire from (though even many dealers don’t even know about the warranty). Think of how useful this is if you are on vacation and run over that nail 1,000 miles from home. Because Vermont Tire is a member of the Michelin based T3 program, all Michelin, BF Goodrich, and Uniroyal tires bought from us also come with a road hazard warranty for the first 25% of usable tread. This is another good program because you are able to choose from a wide variety of products. The only limitation is that you need to have any issues resolved by another T3 dealer. Please be aware that, as a rule, these policies don’t cover mounting fees, shipping fees, or tax. It is a free benefit of purchasing these tires and no extra fees are incurred to have this coverage. Next time you are looking at tires and comparing prices, remember the road hazard warranty. Take a good look at what you get for the price of the tire and decide for yourself if this type of security has value to you. Michelin is the only tire company I know of that doesn’t start development with a a price in mind. They have a list of goals they want to achieve with a new tire, then develop and build it until the goals are met or exceeded. Only then do they figure out how much they need to charge for it. Years ago it was explained to me that one of the main goals of Michelin’s tires is to give the performance that customers want without the corresponding bad characteristics they don’t. This means that their performance tires aren’t loud and don’t have a bad ride. It is easy to make a tire perform better buy making the sidewall rock hard, and a semi slick tread that is loud and is poor in the rain. Michelin achieves the performance while maintaining a conformable and quiet tire. This costs a lot of money and a lot of development time to achieve this. Another example is their All Terrain (AT) tires. They want their AT tires to be able to get you to your cabin in the woods but not burden you with a hum or a hard ride on the road. They know that they have done their job well when the tires perform without you thinking about them. This is all very expensive to do. Michelin puts more into the construction of their tires by an order of magnitude over other tires companies. The density of segments on their tires is a prime example of this. I need to get a little tire geeky to explain this, so bare with me. In the old days all tires were made with clam shell molds that came together to form the two halves of the tire. The advantage of this technique is that it was fast and cheap. The disadvantages of this are many. The first disadvantage is uniformity. Molds are made with metal, metal expands with heat and does not expand uniformly. Because of this, it is impossible to make a truly round tire with 2 huge pieces of heated metal as a mold. The second is design limitations. It is easy to tell a tire made with a clam shell mold because it has a center rib down the center. This is something that is true of all tires made this way. Most of today’s advanced siping techniques that are tread designed are impossible with clam shell molds. This brings us to the segmented mold. Segmented molds solve the metal expanding problem by minimizing the open space so the metal expands in a controlled predictable way; the more segments you have, the more control you have, the better guaranty of a perfectly round tire. The second is design freedom. Because you only have to worry about the mold pulling away from a small part of the tire, you have much more freedom to design the tire in any way you choose. Most manufacturers use segmented molds on some of their products, but Michelin has taken this to the next level. Below is a picture that shows the segment spacing on an industry average premium tire, then the segment spacing on a Michelin tire. Note the segments on the Michelin tire outnumber the normal premium tire 9 to 1. Imagine how much more more complicated the mold needs to be, and how much more expensive it is to do that. So I think you can see that there is a level of accuracy and craftsmanship that is unrivaled. All this comes at a price, which is reflected in the cost of Michelin tires. Is it worth it? That is for you to decide. What I do know is that no other company delivers the performance without the compromise like Michelin does, and their new Defender tire shows they can build a passenger All Season that surpasses every industry best. Remember, like they say, there is a lot riding on your tires. Even though Toyo has been around for a long time, many people in Vermont don’t know much about them. This is the last week of the Toyo Promotion so I thought I would give some information on the company and why my father and I put so much stock in them. First off, Toyo Tire is a Japanese company like Bridgestone and Yokohama. They are known best for their enthusiast performance and mud products, but in the last years they have come on strong with their All Season and SUV/Light Truck (LT) products as well. They pride themselves on build quality more than any other tire company I know of. In the 7 years we have been dealing with them, their products have amazed both us and our customers. For example, in some cases it takies no weight at all to balance the tires (because they are built so true). In other cases, we’ve seen a longevity well beyond their already generous warranties. An example of this is a set of Open Country H/Ts that my Dad had on his Ford 150. They were size 275/65R18 and they probably weighed 90lbs each. They balanced out with less than an ounce of weight and when we took them off, they had over 80k miles on them and two of the tires still had 2/32 of tread left. A tire company with a name like Toyo is not an easy sell in many parts of Vermont, but we have been committed to do so because we want so share with people what a great product they actually are. Toyo’s are the tire company my family chooses to put on their own vehicles when given a choice. Last year was a tough year for Toyo. They are hit hard by the tsunami, and had trouble with production leading to very limited availability. They are back strong this year, and so are our sales. I suggest anyone who has not tried their tires to give them a try. You won’t be disappointed. I would love to hear if you found my blog helpful. I would also like to know if you disagree with me or if you think I missed anything.